I entered this piece in an all media juried show at my local art center. 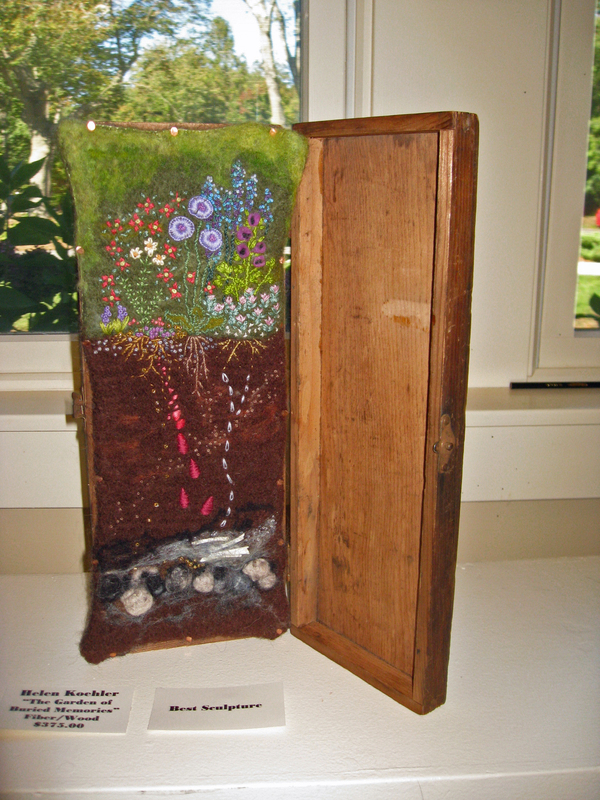 I was looking for ways to present my fiber art in something other than a conventional frame so I nailed it into this vintage box. It won a prize, oddly it was for best sculpture, and it found a new home as well.